On the morning of Friday, December 14, 2012, 20-year-old Adam Lanza took a 22-calibre rifle and shot and killed his mother as she slept. He then packed a Bushmaster semi-automatic rifle, a Glock pistol, a Sig Sauer pistol, a 12 gauge semi-automatic shotgun and a large supply of ammunition into a Honda Civic and drove to Sandy Hook Elementary School in Newtown, Connecticut. He parked his car next to a “no parking” zone and with his guns walked up to the locked front door of the school. It was 9.30am. Eleven minutes later, Adam Lanza, six adults and 20 first-grade children were dead. Why did this horror happen? It is difficult to understand why the Connecticut authorities were so reluctant to comment on the serious conflicts in Adam Lanza’s life that had predisposed him to violent impulses and behaviour. Since both he and the person who knew him best, his mother, are dead, we cannot establish a “conclusive motive”. But even if they were alive, their evidence would not be conclusive. Motives are always cloudy. But there are several factors which clearly had a role in turning Adam Lanza from a schoolboy into a killer. First, parental divorce and the absence of a father in the home. These give rise to intense loneliness and sadness and then great anger, particularly in sons. 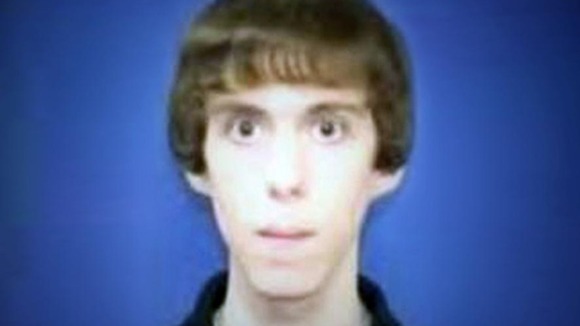 Adam Lanza’s parents divorced in 2001. His mother retained custody and his father seldom saw him. The last time they had spoken was two years before the massacre. Second, the compulsive use of violent video gaming and the viewing of violent videos. These increase latent violent impulses and aggressive behavior and lead to a sense of pleasure in their expression. No child with Adam’s background should be permitted, as he was by his mother, to spend hours every day playing violent video games. On one of his favourites, Combat Arms, he had notched up 83,496 kills, with 22,725 head shots. He also played a game called School Shooting in which the player controls a character who enters a school and shoots students. It was a good way to prepare for December 14. He also had feature films depicting mass shootings. He may have chosen a Bushmaster because it is a common weapon in violent video games. Research has shown that sustained violent video gaming is related to steeper increases in adolescents' trajectory of aggressive behaviors. A meta-analytic review of studies on this subject strongly suggests that exposure to violent video games is a causal risk factor for increased aggressive behavior. Third, readily available guns. Parents whose children have serious psychiatric disorders that are highly co-morbid with excessive anger should not keep a cache of weapons in their homes. But Adam’s mother did. Even though he already had several guns, she had written a cheque to buy him another one as a Christmas present. Excessive anger is highly prevalent in many youth with Adam’s diagnosis of Autistism Spectrum Disorder, Asperberger’s disease. His parents should have been warned by the treating mental health professionals and pediatricians about the dangers of violent video gaming in conjunction with the presence of weapons in the home. Fourth, the severe bullying he experienced in school when he was younger. The trauma of being bullied by school peers results first in intense sadness, anger, and fears of rejection with a tendency to withdraw and isolate depending upon the severity and duration of the peer ridicule. Then, as the anger grows, a sense of pleasure can develop in imagining its expression. This hateful response is intensified nowadays by violent video games. The sense of pleasure can be further heightened by imagining engaging in violent acts at the location of the earlier peer trauma, in his case Sandy Hook Elementary, even though the victims had never inflicted harm. The report failed to point out the deficiencies in the school bullying programs in which Adam almost certainly participated. These programs fail to address the primary problem of excessive anger in youth and in those who have the potential for bullying that can lead to violent impulses and desires for revenge. Young people can be taught in the classroom how to master their anger without harming others. Anti-bullying programs that teach youth how to resolve anger without inflicting harm on others are useful. Forgiveness education programs in schools in Belfast, inner-city Milwaukee, and a rural area of Wisconsin have demonstrated empirically their effectiveness in reducing anger in students, with the greatest reduction being in those students who were most angry. We will never know what pushed Adam Lanza over the brink. Most people with disturbed backgrounds and mental illness never commit crimes, let alone atrocities like Sandy Hook. But we do know some of the reasons why he had come to this place of madness. These included the trauma of divorce, readily available guns, immersion in violent fantasy worlds and unresolved bullying rage. The Connecticut authorities missed their chance for a teachable moment when they took the easy way out and said, “Dunno why. Sorry. Stuff happens”. Dr Rick Fitzgibbons is the co-author of Helping Clients Forgive: An Empirical Guide for Resolving Anger and Restoring Hope, American Psychological Association (2000, 2014, 2nd ed). Willoughby, T., Adachi, P.J. & Good, M. (2012) A longitudinal study of the association between violent video game play and aggression among adolescents. Developmental Psychology, 48, 1044-57. Anderson, C.A., Shibuya, A., Ihori, N., Swing, E.L., Bushman, B.J., Sakamoto, A., Rothstein, H.R. & Saleem, M. (2010).Violent video game effects on aggression, empathy and prosocial behavior in eastern and western countries ; a meta-analytic review. Psychological Bulletin, 136, 151-73. [i3] Quek, L.H., Sofronoff, K., Sheffield, J., White, A. & Kelly, A. (2012) Co-occurring anger in young people with Asperger’s syndrome. Journal of Clinical Psychology, 68, 1142-8. Enright, R.D., Knutson Enright, J.A., Holter, A.C., Baskin, T., & Knutson, C. (2007). Waging peace through forgiveness in Belfast, Northern Ireland II: Educational programs for mental health improvement of children. Journal of Research in Education, Fall, 63-78; Gambaro, M.E., Enright,R.D., Baskin, T.A., & Klatt, J. (2008). Can school-based forgiveness counseling improve conduct and academic achievement in academically at-risk adolescents? Journal of Research in Education, Fall, 16-27; Holter, A.C., Magnuson, C., Knutson, C., Knutson Enright, J.A., & Enright, R.D. (2008). The forgiving child: The impact of forgiveness education on excessive anger for elementary-aged children in Milwaukee’s central city. Journal of Research in Education, 18, 82-93.